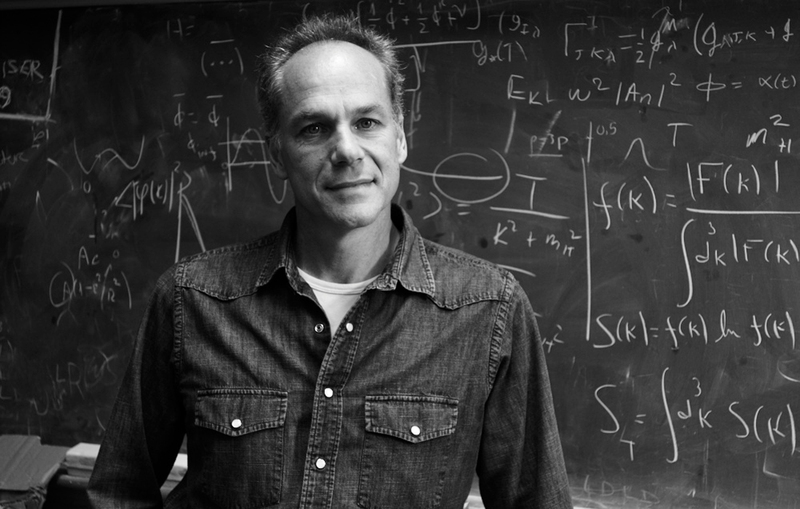 Marcelo Gleiser wants to heal the rift between humanists and scientists by deflating scientific dreams of establishing final truths. The Limits of Science and the Search for Meaning. Perhaps this well-meant intervention is unnecessary, given the many signs of interdisciplinary concord today. These include the growth of science studies, technocultural studies and the digital humanities within the liberal arts; successful popularizations of science in the media—the new Cosmos had the largest debut of any series in television history; and the ongoing enthusiasm for science fiction in mass culture. (True, the genre is often light-years away from genuine science, but at its best it’s an exemplary merger of the two cultures.) From such portents alone, we seem poised to embrace the ideal of “one culture, many methods.” But might this be a pious platitude, if not a colossal category mistake? Are the arts and sciences actually fated to be an estranged couple, burdening their offspring with crippling complexes? Gleiser hopes to heal the rift between the two cultures by denying the scientific dream of establishing final truths. He insists that while the arts and sciences have different methods, they are fundamentally united in their search for humanity’s roots and purposes; they also share the human limitation of finding only provisional and incomplete answers. He traces Western science’s misguided aspiration to omniscience, and its consequent devaluing of human fallibility, to its beginnings in classical Greece. This is certainly an appropriate place to start for a history of science’s Platonic aspirations. However, the origin of the “two cultures” debate that Gleiser implicitly addresses is more recent, and thus less entrenched, than his own chronology implies. The unhappy couple stands a good chance of being reconciled through judicious interventions such as his. Their current disaffection commenced in the early nineteenth century, when the “natural philosopher,” a man of parts, began to be replaced by the specialized “scientist,” a term coined in the 1830s. A new division of labor emerged. Scientists claimed to establish objective facts and laws about the natural world by stifling their imagination and relying on empirical observation, testing and prediction; humanists embraced the Romantic imagination, interpreting the ambiguous nature of human experience through empathy as well as analysis. At the dawn of the twentieth century, reconciliation beckoned within the new domain of the “social sciences.” Economists, anthropologists, sociologists, psychologists and historians combined rational inquiry with intuitive insight—the sort of “scientific use of the imagination” proposed by the scientist John Tyndall and exemplified by the fictional icon Sherlock Holmes. Nevertheless, methods clashed and philosophies jostled. Should social scientists seek simple, encompassing laws like the natural sciences, or should they highlight particularity and uniqueness, like the humanities? The debate revolved around approaches deemed “nomothetic” (generalizing) or ”idiographic” (individualizing)—terms so ugly they assured public disinterest. Those whose education and perhaps tastes have confined them to the humanities protest that the scientists alone are to blame, for plainly no mandarin ever made a bomb or an industry. The scientists say, with equal contempt, that the Greek scholars and the earnest explorers of cave paintings do well to wash their hands of blame; but what in fact are they doing to help direct the society whose ills grow more often from inaction than from error? Bronowski was a published poet and biographer of William Blake as well as a mathematician; he knew that artists and scientists had different aims and methods. Yet he also attested that both engaged in imaginative explorations of the unities underlying the human and natural worlds. The “two cultures” debate has continued for decades, often rehashing the same issues and generating more heat than light—a metaphor that reminds us of how entwined the arts and sciences are in everyday life. In recent years, however, the tone and substance of the debate have changed. There is a revived tenor of nineteenth-century scientific triumphalism, owing in part to the amazing successes of the natural sciences, from the standard model in physics to DNA sequencing and the Human Genome Project. Numerous physicists are convinced that they will discover a final “theory of everything” proving the unity of nature’s laws and defining its constituent elements. Not all scientists share this reductionist outlook, but the wider culture unintentionally reinforces it, thanks to information technology’s colonization of everyday life. We’re more primed than ever before to think in terms of keyword searches, algorithmic sequences and Big Data. None of these heartfelt observations would surprise philosophers of science; Mary Midgley’s wonderful Science as Salvation (1992)—not included in Gleiser’s bibliography—makes the same points. But Gleiser speaks as a scientist and is thus more likely to be heard by his peers—provided he doesn’t scare them off with his anti-realist stance. He can sound positively postmodern when he defines science as “a human construction, a narrative we create to make sense of the world around us.” But if he opposes the naïve realist belief that science accesses a mind-independent reality, he doesn’t make the equally naïve claim that science is merely a social construction. It does attain verifiable knowledge of reality, its evolving instruments yielding increasingly precise data: but the resultant explanations are inevitably partial and always subject to change. There are no final answers, for new knowledge yields new mysteries to be solved. Science is a limited, interpretive practice and will only be “humanized” if it adopts the epistemological humility that Wieseltier claimed was the purview of the humanities. These conclusions, and some of the same historical examples, reappear in Gleiser’s The Island of Knowledge. In this work, he underscores the many limits, even “insurmountable barriers,” to scientific knowledge. He likens science to an island situated within a wider sea of the unknown: “As the Island of Knowledge grows, so do the shores of our ignorance.” In thirty-two brief chapters, he provides a stimulating overview of Western science’s shifting interpretations of reality from classical Greece to the present, including informative discussions of atomism, alchemy, classical physics, quantum mechanics, quantum entanglement, the Big Bang, the multiverse, superstring theory, mathematics, information theory, computers and consciousness. Gleiser is a brilliant expositor of difficult concepts, and his raw enthusiasm is transporting. He is equally fervent about the uncertainties of science, having once been a believer in its unalloyed truth: “I find myself in the difficult role of being a romantic having to kill the dreams of other romantics.” However, as with many disillusioned votaries of absolutist creeds, his new stance can be as fundamentalist as the one he rejects. As he argued in his previous book—and continues to argue in this one—science’s “essential limitations” include the imprecision of its instruments and the cultural contingency of its concepts. In The Island of Knowledge, he eagerly gathers other objections to any final theory as kindling for a bonfire of the vanities. He contends that nature itself posits absolute limits to what we can know empirically, such as the initial conditions that generated the Big Bang or the existence of multiple universes implied by current theories of cosmic inflation. In addition, the quantum world is impervious to deterministic explanations. And mathematics is likely not mind-independent but rather a human invention—one whose formal structures cannot be both consistent and complete. These assertions may be valid—only time will tell, if that—but Gleiser’s temperamental absolutism sometimes subverts his pragmatic faith in an unfinished universe. He insists that “there are aspects of reality that are permanently beyond our reach,” and also that “we can never know for certain…. We should build solid arguments based on current scientific knowledge but keep our minds open for surprises.” He notes that some mysteries will always remain mysteries—“there is an essential difference between ‘we don’t know’ and ‘we can’t know’”—but also admits that “‘Never’ is a hard word to use in science.” He inadvertently becomes his own best example of how hard it is to practice epistemological humility even when one is committed to it. Attaining that outlook, rather than certainty, is the true noble dream. Michael SalerMichael Saler, the author of As If, teaches history at the University of California, Davis.